England will be playing their penultimate match of the year 2018, when they take on Dave Sarachan’s USMNT in a friendly encounter that has been named as ‘The Wayne Rooney Foundation International’. 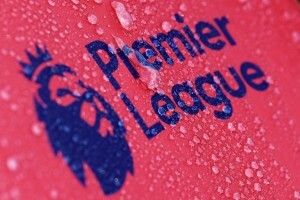 The match will be a testimonial for Wayne Rooney, England’s all-time leading goalscorer as well as their most-capped outfield player, with manager Gareth Southgate and the FA choosing the friendly against USA as an occasion to commemorate the 33-year-old’s career and contribution to English football. It has been an eventful year for Southgate’s men, starting with their impressive showing in the 2018 FIFA World Cup, where they made it all the way to the semi-finals to their 3-2 victory over fellow European heavyweights Spain in the UEFA Nations League last month. 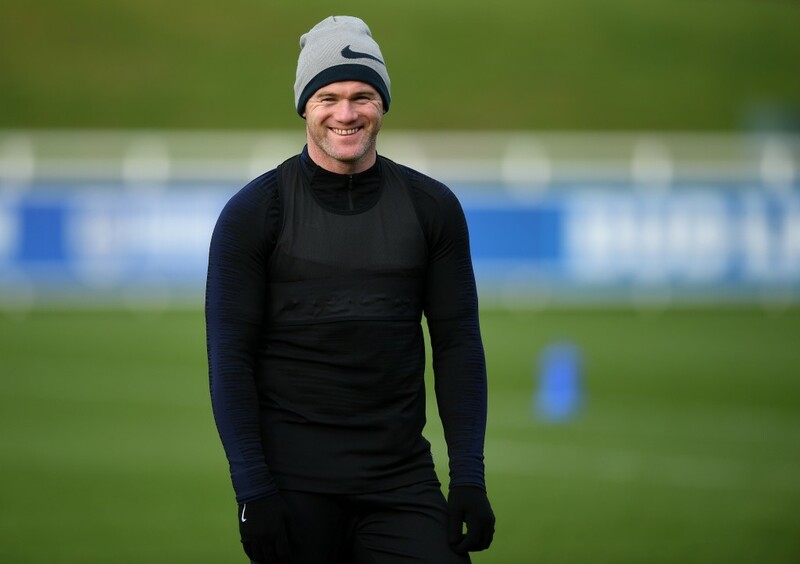 And while Rooney’s surprise return to international football a year after his retirement, albeit for a one-off game, is making the headlines, the manager will be aiming to get another win under his belt and keep up the momentum heading into their Nations League encounter against Croatia. The US men’s national team, who were not involved in the World Cup, have won just one of their last six encounters – a 1-0 win over Mexico in September. During the last international break, they were defeated 4-2 by Colombia and were held to a 1-1 draw by Peru. The upcoming friendlies against England and Italy could also prove to be interim manager Dave Sarachan’s last games in-charge of the team, amid rumours that Gregg Berhalter is set to replace him. And the 64-year-old would want to end his stint on a high, by masterminding upset wins over the European nations. The biggest shock from Southgate was the inclusion of Rooney in his roster for the upcoming game. Along with the 33-year-0ld, the England manager has also called up Bournemouth striker Callum Wilson, who has been in fine form this season. Harry Maguire misses out with an injury, while Kieran Trippier has withdrawn from the squad with a groin injury. Liverpool defender Joe Gomez is also unlikely to be involved, despite being named in the squad. Teenage sensation Jadon Sancho holds on to his spot in the Three Lions’ squad. Southgate switched to a 4-3-3 formation last month and is likely to stick to the same setup against USA. Jack Butland could get a look in under the woodwork, instead of first-choice keeper Jordan Pickford. Trent Alexander-Arnold should start at right-back, while Luke Shaw is likely to get the nod at left-back ahead of Ben Chilwell. John Stones will pair up with debutant Lewis Dunk in defence. Ross Barkley has been in fine form for Chelsea and might get a run out against Sarachan’s side in the middle of the park, along with club teammate Ruben Loftus-Cheek. Fabian Delph is likely to start as the deepest of the three midfielders, with Southgate likely to shield his regulars ahead of the game against Croatia. Sancho has been in scintillating form for Borussia Dortmund and merits a start in attack, with Jesse Lingard also likely to start ahead of Raheem Sterling. Callum Wilson should start as the centre-forward, with Rooney set to make a cameo in the second period. Darlington Nagbe and Zack Steffen were forced to withdraw from the squad due to injuries. Midfielder Tyler Adams is back in the roster, having missed the friendlies last month, while Christian Pulisic also returns to the fold for the first time since May. Rookie goalkeeper Jonathan Klinsmann has also been drafted into the squad by Sarachan. The visitors are very much likely to continue with the 4-5-1 formation that was used in the 1-1 draw against Peru in October. Veteran goalkeeper Brad Guzan should get the nod between the sticks for the friendly against the English. The former Aston Villa man will be shielded by a back four comprising of DeAndre Yedlin and Jorge Villafana as the full-backs on the right and left sides respectively, with Cameron Carter-Vickers and John Brooks lining up at the heart of the defence. Wil Trapp will be the defensive anchorman for the USMNT, with the returning Tyler Adams and Weston McKennie providing support in the centre of the park. The returning Pulisic should walk right back into the starting lineup on the right side of the midfield, with the promising young attacker Timothy Weah slotting in on the opposite flank. Upfront, Joshua Sargent, who scored the only goal for the US against Peru, is likely to feature from the kick-off ahead of the 43-time capped Bobby Wood. This will be the 11th meeting between England and USA. The Three Lions enjoy a superior head-to-head record, having won seven of the previous ten meetings, while losing just two. The last time US won against England was 25 years ago in 1993 – a 2-0 triumph in the US Cup in Foxborough. The most recent showdown between the two nations was at the 2010 FIFA World Cup, which ended in a 1-1 draw, with Steven Gerrard and Clint Dempsey getting their names on the scoresheet. After a run of three consecutive defeats against Croatia, Belgium and Spain, England come into Thursday’s game unbeaten in their last three fixtures (W2, D1). Rooney’s surprise selection has sparked a huge debate among the fans. While some believe that the 33-year-old striker is deserving of a proper send-off on the international stages, there are several supporters who opine that his selection cheapens the value of an England cap. Wherever one stands on the topic of discussion, there is no taking away the fact that Rooney is an absolute legend. The former Everton and Manchester United striker is the all-time highest goalscorer for the Three Lions with 53 goals to his name in 119 caps – second highest number of appearances behind Peter Shilton (125). Rooney has been in belligerent form for D.C. United this year, having bagged 12 goals and laid on seven assists in 20 appearances and was named in the 2018 MLS Best XI. He is likely to be on the field for a short time on Thursday, but all eyes will be glued on him when he does come on. Given his recent form, a 54th international goal seems a strong possibility. England have lost just one game post the World Cup in Russia, and will be high on confidence after their 3-2 triumph over Spain last month in the UEFA Nations League. On the other hand, the USMNT have picked up just a solitary victory in their last six outings and were hammered 4-2 by Colombia last month. Southgate is likely to ring in the changes, keeping in mind the upcoming Nations League encounter against Croatia, but this England side should have too much quality for the visitors. And as a result, we at the Hard Tackle predict an easy victory for the Three Lions at the Wembley.